This Package is Specially for​ 4days and further available for customisation. 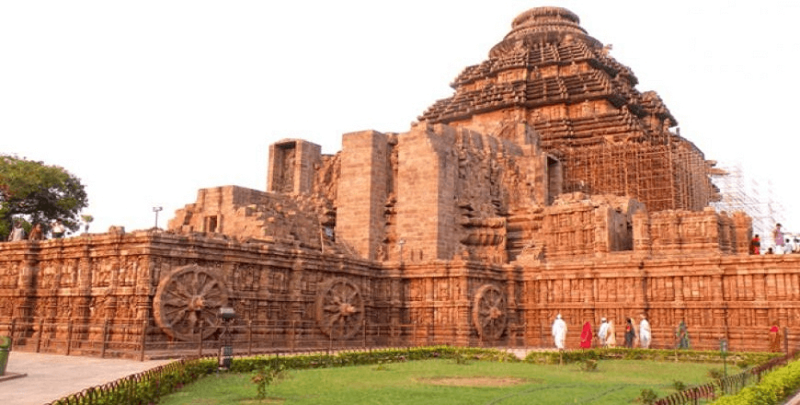 This orrisa tour package by Ghum India Ghum ​include​s tour of​ Bhubaneswar, Konark and Raghurajpur. This Package is Religious and family tour and for peace of mind. In this package one is going to visit one of the oldest temple Jagannath Temple and is also one of Dham among four dham in Hindu Religion, Where you can find many Unsolved Mysterious facts and Konark Sun Temple which is also famous as Black Pagoda. On arrival at Bhubaneswar airport met by our representative. Then transfer to hotel. Later half day sightseeing of​ the​ tribal museum ( closed on Monday ), Khandagiri & Udaigiri Jain caves ( oldest rock cut caves, the caves are reminiscent of influence of Buddhism and Jainism in Odisha (Orissa) ). Overnight at Bhubaneswar. Morning after breakfast drive to Puri en​-​route visit Dhauli (Budhist stupa / peace pagoda), Pipli (the applique work village) and Konark Sun Temple (famously known as black pagoda). Then proceed to Puri and check in to the hotel. Evening visit of Lord Jagannath Temple (Non Hindus are not allowed) / Relax on the golden beach of puri. Overnight at Puri.